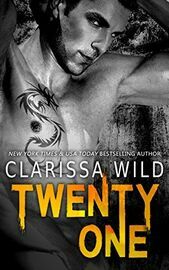 NEW YORK TIMES & USA TODAY BESTSELLING AUTHOR Clarissa Wild brings you TWENTY-ONE (21), a new Dark Romance, which is a stand alone without cliffhanger. "5 ***** VERY DARK …devil in disguise Angel..stars!!!!!!!!!!! Please be warned this is not for the faint hearted.